How do you sell your vision to your team? Getting a group of people to work together to a common goal is at the heart of all businesses of more than one person.People don’t just naturally work together well, and understanding their motivations isn’t always easy. The differing personal interests, long term and short term goals, and just the different personalities make teams of people a challenge that business owners / leaders have to deal with daily. Like any group of people meshed together day in day out, the reality is far from simple and is a constant moving beast that is most likely never to be tamed but can be managed. You could spend your entire life reading the literature about how to manage teams better, lead better, build culture etc. but who has time to do all that when you have a business to build and run? It is normally when you take some time out, be it a trip away or holiday, that the blatantly obvious rears its head. In those moments when you distance yourself from your business you can see it clear as day. It’s easy to see where processes need to be documented better, teams built and given autonomy to drive the change required etc., and then you walk back in the door and suddenly a staff member has left an important department and it seems there is no working copy left of her brain, or a major customer wants to increase their work three fold over the next month and you need to step up and handle this for them etc. Sometimes the inspiration on how to handle issues better comes from outside the business world completely. To me I often relate being a junior sports coach to running my business – probably because I am both and that’s a space I feel comfortable in. The reality of coaching is that despite the plans during the week, the pre season training, the encouraging words and best wishes that you wake up with on game day, suddenly the phone starts receiving text messages that little Johnny is sick and can’t play, that the team manager’s car has broken down and they have all the jerseys, and suddenly the best laid plans become crisis management to get through as a calm and responsible leader. The similarity to business is high. This year I got an even better lesson given to me on plans and getting team buy-in that, on reflection, covers an area that I have struggled with regularly. I coached a field hockey team of Under 13 year old girls. I have previously coached AFL for 8 years but this was my first all girls team and, while I played a lot of hockey in my youth, haven’t coached it before. I had some simple goals for the year including skill improvement and building a team only game plan. We reached 2nd on the ladder in the normal season. In our last normal game of the season we faced the undefeated competition leading team who we knew were to become Minor Premiers. In that game we were 1-1 just after half time in a tussle that was a credit to our smaller and more timid girls, with the opposition playing a brash and strong physical styled game. We couldn’t keep up the effort and the continual pushing by the opposition saw us go down 4-1. To me it was very obvious that we were physically intimidated and just couldn’t keep up the fight and started backing away. There isn’t much you can do to stop some very young girls from being frightened and you sadly have to watch it happen and encourage them to stick at it as you do player substitutions from the sidelines. Afterwards there wasn’t much to be said. We had tried and been beaten by the better side. In my mind it was ominous for the first week of the finals where we would play them again and, in theory, in the Grand Final if we got through. It was crystal clear to me how the opposition had played, some tactics they had used and also in recognising that teams often only have one real key method to play in junior sport – it is hard enough to lock in one play style let alone two. We only had one weekly training session on the Wednesday and, after listening to my daughter about a process I employed that had worked earlier in the year, I came prepared with a very different approach to the normal sessions. When all the girls had arrived and warm ups were done I brought them in and, with one simple question, got to the heart of the previous loss. I pretty much already knew that was the case and knew we needed something else than using physicality as our plan of attack. I had identified four things that I thought were the underlying methods of their play and won’t go into micro detail on them. Noticing how someone does a thing is only half of the issue, coming up with a way around it that works is equally important – if not more so. We didn’t really do skill drills that session, we did a couple of ‘keeping the eye in’ mini drills / games but ultimately we stepped out the game plan on the field. This involved me putting everyone in their positions and using other parents / or markers outlining how we got beaten and then what each individual person or group of players (depending on role) had to do. There were questions, there was minor tweaking on the fly and there was a now infamous code word we made up for a particular play tactic we wanted to employ. In many ways it was all about the opposition. We knew what our strengths were and we knew our game plan. We had to be much more aware of what they were doing and how our game play needed to be relevant in a changing game. Saturday came and we prepared as a group as normal warming up for the semi final and each girl was given some very simple reminders of their role. Three days is a long time in a young child’s mind so I needed to make sure the plan was crystal clear and ready to be applied no matter what happened the day before or what was had for breakfast. As a team I reminded everyone of the team approach we had agreed on and they were surprisingly bright and “up for the challenge”. The result: at half time it was 0-0 and the girls came off feeling extremely high given we had attacked more than the opposition and the opposition seemed annoyed and flustered by their plan not working. Wow. They all clicked into realising that all the hard work and the plan had lead them to a winnable position. We had scored just one goal against them last time but now with this plan that was all we needed to score to win the game. And to the script it was all we scored. We won. 1-0. It was an uplifting and pleasant game of sport where we did everything as planned and for once the script played out. If you have ever coached junior sport (or business) you know that doesn’t happen every time you head out. All the players and everyone supporting the team was buoyed by this. We got the week off and were straight into the Grand Final and the unbeatable now had their crowns knocked slightly ajar. The heart of this story was driven home to me when I received an email later that night from a father of one of our quieter and most timid girls. In that email he had said that he was concerned about how it might all play out based on the previous game and when he got in the car with his daughter to drive to the semi final he asked her was she worried or anxious about the game and what was ahead. And in that it brought home the realisation that can get lost in everything else. No matter what, there is no replacement for a clear plan for your team. Feedback is important. Changing tactics or implementation around the real world observations from the front line is SUPER critical. Belief comes from a desire to achieve a certain personal result mixed with a plan of attack that makes sense to the individual. Too many times selling the vision or the plan is left to others. If you own the vision you must be the person who sells it and who finds out if it is right or not. That week and that game day I ended up with 100% belief and participation in the vision. That was our finest performance of the year. Two weeks later against the same team we lost 3-1 in a great game and ultimately the best team won at that time. We didn’t have the same buy-in on the day. The plan was similar and the methods employed by the other team were the same, but the commitment of our team to it was less. They had had their moment and were too young and inexperienced to replicate the mental approach so quickly after and I wasn’t able to get them back to that high point in the follow up game. That shows how highly important the buy-in is and how hard it is to keep everyone in that zone over time. Having a great vision and / or purpose is very important but if the stakeholders aren’t focused with the same intensity you need on that vision when needed, it doesn’t matter how noble or not the cause or how good the plan is, you will struggle without having the buy in. Coaching is often more about getting the players on side than the individual skills. In many professional sports that is why they have coaches for the specifics of each area and for each department of the team, and then the head coach whose job it is to lay out the vision and make sure everyone is buying into that vision or to make the hard decisions if they aren’t. For me it was a massive real world reminder of how much effort telling the story is and why having processes to take care of the more mundane tasks of a business are important, so that you can pay much more attention to the vision and to whom you are selling that vision. It isn’t just about having a great story it’s how the story is told to each person, what it means to them and whether or not that story matters to them. Is your plan good enough? How often do you look at ‘the game’ you are in? Does the plan still really matter to this game or was that last week’s game? How are you telling your story (plan)? Do you do it often enough and individually to each player? Is the message resonating, if not change how you deliver it. Deliver it differently to each person. Listen to the team. Make sure you understand what they see and where they are coming from. Are you taking on feedback when you deliver the story and adjusting accordingly? Or do you just lay it out and say that’s the story. Ask the important questions. Don’t shy away from posing difficult questions that the team might not want to answer. You need to know how they really feel. Does each person buy in? If not why do you keep them? A team without buy in is too hard. First it’s one then two, and before you know it this isn’t a team that you are coaching but a group of people pretending to play along. Build your team of people that buy-in first then go win the game. You can’t really win regularly without rock solid buy-in. Coaching is a sideline activity. You can’t be coaching every minute, you need to do the hard work up front so that you only have to do tweaks during the game. Make bold decisions and follow them through. After you have your plan make the decisions necessary to make it a reality. Being on the sideline doesn’t mean you don’t have actions to take. Do you practice how you play the game and play it out so everyone can show that they get it? Substitution is a valid part of winning the long game. 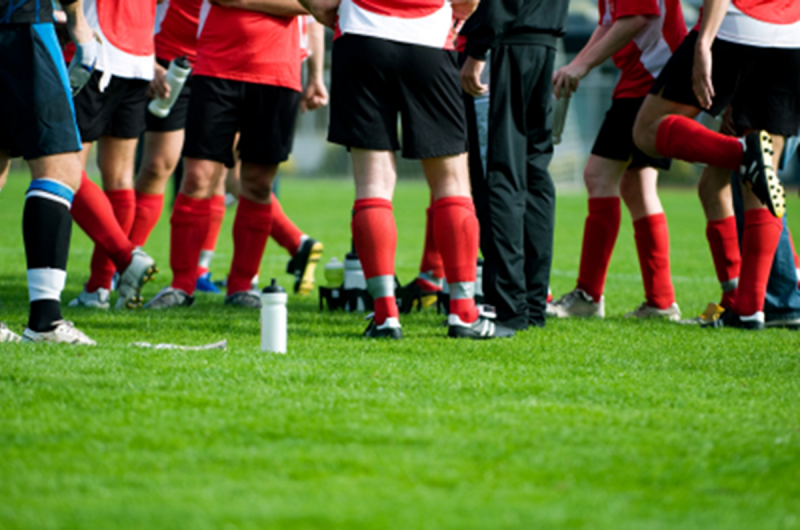 Do you need to substitute any of your ‘players’ to get them refreshed and to get a fresh look at a position? False platitudes don’t really work. Praise the hard work and real achievements even if only small and do it publicly. Well that’s what Ireckon anyway. ← Taking change in your stride. I reckon that’s the best thing I’ve read this last week. And I love your ten key things. Some are close to my heart. Belief comes from a desire to achieve a certain personal result, educate others, help them look through different eyes, show them with pictures, words, and your own achievements, as it does not matter how many times you fall, what matters is that you had the courage to change and move in another direction. The passion still resides within, the plan of attack is the passion, “I am an individual”, I will show you the way.